Make Woodbury Heights, the premier apartments in Sioux City, Iowa, the final destination in your apartment search! Welcome to our picturesque community, conveniently located just off of Fieldcrest Drive and Burton Street. 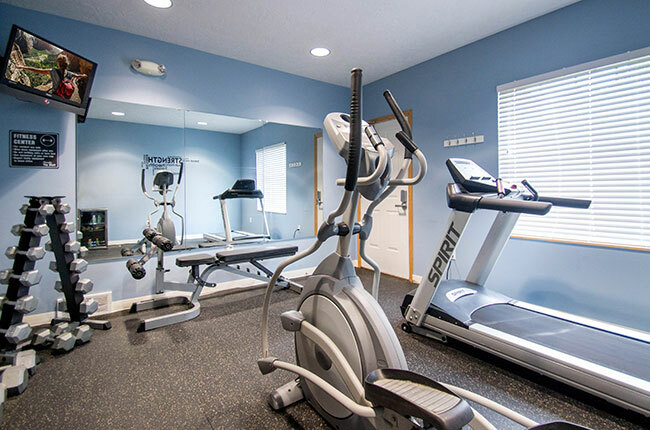 Woodbury Heights features an abundant suite of amenities including a state-of-the-art fitness center, sparkling swimming pool, resident clubhouse with extra storage space, and detached garages available for rent. Our community exudes a comforting and peaceful ambiance, but at the same time, we are located near major freeways, delicious dining options, and top-notch shopping opportunities. With spacious floor plans, unparalleled amenities, and five-star professional management service, Woodbury Heights sets the gold standard for maintenance-free apartment living in Sioux City. Call and schedule your personal tour with our friendly leasing team today! Located ten minutes outside of Downtown Sioux City, Woodbury Heights provides residents with the location they’ve been actively seeking. Our close proximity to major attractions combined with the tranquil nature of our community and surrounding neighborhood make for the ideal apartment living experience. Within the immediate area, residents will appreciate access to multiple outdoor recreational facilities such as Riverside Park, War Eagle Park, and Two Rivers Golf Club, which offers a well-conditioned golf course along with player development programs, leagues, and tournaments for the whole family to enjoy. If you’re looking for a little culture, hop on 4th Street and head Downtown where you will find museums, performance venues, and movie theaters. You can enjoy dining at Downtown’s hottest spots including restaurants like Trattoria Fresco, SoHo Kitchen & Bar, and Famous Dave’s Bar-B-Que Sioux City. As far as convenience is concerned, we have you covered at Woodbury Heights.